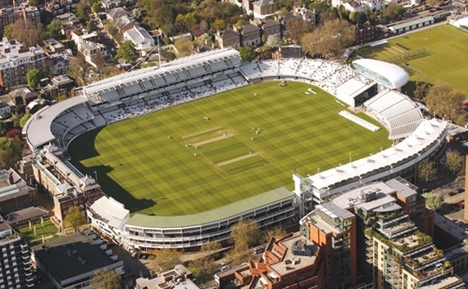 This week, the MCC have unveiled plans to expand and modernise Lord’s, the latest in a line of stories of English county sides looking to redevelop their ground. Click here to see The Times draft of the plans. The MCC, however, have a far tougher job with Lord’s than any other ground. It is a cliché, but there really is something undeniably special about walking into the ground and it cannot lose this. One only has to look at the uproar over unfounded rumours that the ground would be selling its naming rights to see just how close to their hearts English cricket fans hold the traditions of the ground. Any cosmetic changes are likely to be scrutinised in minute detail. Yet the signs of the proposed new development are exceptionally encouraging. For a start, the word “ground” is used instead of “stadium”. This might seem like a very simple piece of terminology, but its purpose is extremely important. Australia have stadiums, huge bowls designed to get as many people in as possible. England have grounds, an eclectic mix of history blended next to modern architecture. They are not the most efficient way of seating spectators, but every different stand is a nod to the period it was built in. It is this that makes our venues, and in particular Lord’s, so special. The plans of the new-look Lord’s reflect this. The pavilion will thankfully remain, almost exactly as it was in the Victorian period and Old Father Time will continue to watch over the ground. The new development looks as though it will complement these features, rather than overshadow them. The new stands at each corner of the ground look typically English in design, and don’t look as though they will affect the open atmosphere that is such a feature of the “Home of cricket”. There will undoubtably be people who automatically oppose any changes to Lord’s. However, a ground cannot rely on history alone to sustain it. Lord’s must be taken into the 21st century. The Media Centre had its opposers at first, but is now as much a part of the ground as the pavilion that it sits opposite. The improvements to the green areas outside the ground, including the Nursery Ground, are the cherry on the cake. It is an ambitious, exciting plan which will ensure that this most famous of grounds remains the Mecca of the sport. Interestingly, these plans come out a couple of weeks after the proposal that the Olympic Stadium could become a Twenty20 venue after 2012, an idea so ridiculously flawed it is hard to believe it has ever come to light. These new plans should put an end to this speculation. If the doubters need any more convincing, one only needs to look at Trent Bridge as a shining example of how to develop a cricket ground in this country. It is not the huge bowl that the MCG is, nor the cauldron of Eden Gardens, but it does not try to be. Despite the modernisation, it retains a typically open feel and it is genuinely a pleasure to watch cricket there. Ambitious development has invigorated the viewing experience. This is what Lord’s must look to emulate, and the early signs are that the MCC intend to do exactly that.